It’s been almost two years since the UK voted to leave the EU and the negotiations, pronouncements and progress reports seem never-ending. So while there’s nearly a year to go until Brexit day, with a 21-month transition period after that, we ask why does it seem to be taking sooo long? Well, none of the major players have ever left the European Union before. This means there are some big problems to solve. Such as, how we don’t end up worse-off economically. The EU has a single market, goods from other EU countries are not taxed at the border. People can move around as if the EU was a single country. Outside the EU, people might have to pay more to buy and sell from other EU countries. This could also slow the flow of goods and parts, disrupting production for UK firms. The EU says Britain cannot “cherry-pick” , keeping some benefits without membership, however this could mean that the UK has more freedom to make other trade deals around the world. Any special deals that the UK want have to be approved by MP’s first, then agreed by 27 national parliaments across Europe. The date that the UK is supposed to leave is 29th March 2019, with plans for a 21 month transition period after that. During this time, the UK may still be governed by some EU laws. A trade deal between the EU and Canada took 7 years to agree. 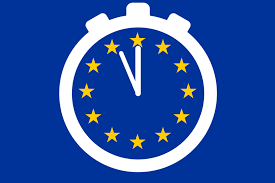 However, as the UK is already aligned with the EU, it could be quicker. See our Brexit countdown clock on the BayRadio homepage.